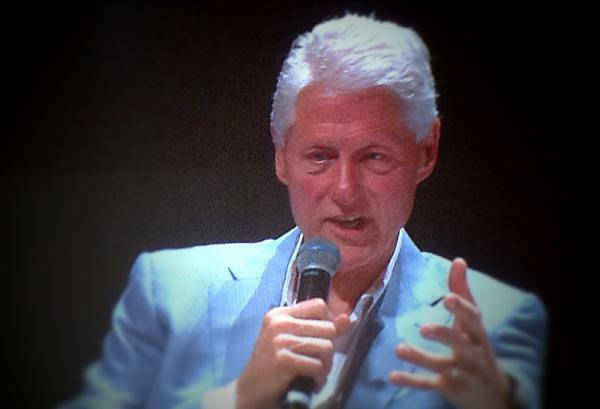 The big news out of Cannes Lions today is that Twitter went down right before President Clinton delivered his speech. It returned and then went down again. As of this writing, it's still down. But that's not really news. Or it really should overshadow the other items of importance that occurred in Cannes today. Eager to hear the former President speak, thousands lined up on the red carpet which stretches most the way down Le Croisette. Throughout the day, in advance of the speech, there were Clinton sightings in and around Cannes. Once introduced by PJ Pereira, Clinton, who spoke on the topic of How Advertising Can Help Build a Better World, said, "we live in the most inter-dependent era in human history" and, focusing a bit on particle physics and string theory, he even went so far as to say that in our lifetimes, "you might live in a time that discovers there is another dimension beyond time, space and distance." Heady stuff. In its continuing quest to numerate all the goings on this week at Cannes Lions in France this week, SapientNitro is out with its third of five infographics. 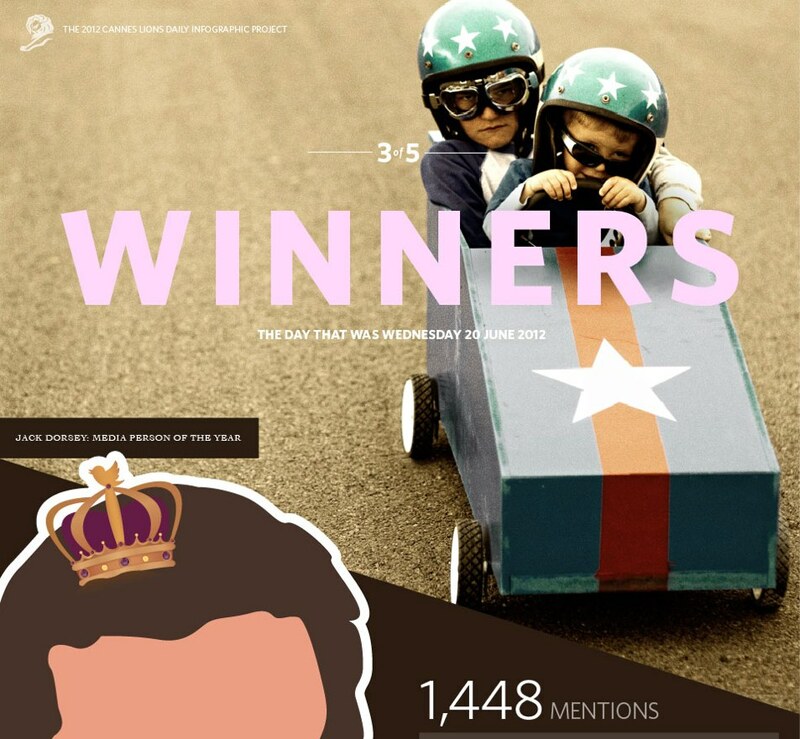 This version, called Winners, takes a look at Twitter CEO Jack Dorsey's Media Person of the Year win, which topics are hot (social media, story telling), the fact that there are 44 cubes on the Cannes Lion stage, top awards winners to date by agency and by country and every other stat you could possibly imagine about the awards. Oh the horror! Just as former President Clinton is about to set foot on stage at the Cannes Lions Festival of Creativity, Twitter goes dark! Will he actually appear? Will he speak? Will he trip like President Ford? Will he share brilliance? The world may never know until Twitter comes back online. Just another example of what happens when we put so much trust in a single infrastructure. Hmm, now will all have to resort to reading about Clinton's speech on crusty old blogs. How mid-2000's! In the meantime, RSS anyone? There's a bit of a voting scandal brewing in Cannes today over accusations that some Media Lions judges were "ordered" to upport work from their own agencies reports B&T. 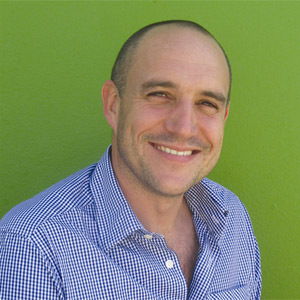 Media Lions juror Dan Johns and Ikon CEO told B&T, "Unfortunately after six days of judging the best work didn't win gold, that is a view held by a number of the jury members. In these situations you have two choices; either to sit back and do nothing or raise your hand and say enough is enough." It appears Johns isn't going to sit back and do nothing. Johns and other jurors plan to take up the issue with Cannes Chairman Terry Savage. As Wednesday in Cannes ended and delegates headed to the Palais for the Press, Design, Radio and Cyber Lions Award ceremony, AKQA CEO Tom Bedecarre wondered why everyone in Cannes was asking him to buy them drinks. As news of AKQA's acquisition by WPP spread, it became clear why Tom was suddenly seen as Mr. Moneybags. If Sir Martin Sorrell's salary is a comparative indicator, Tom will have plenty of money to buy everyone drinks for a long time to come. - Over at the Palais, South Africa earned its first Gold Lion with work done by DDB SA for McDonald's in the Press category. - Twitter CEO Jack Dorsey was given the Media Person of the Year award. 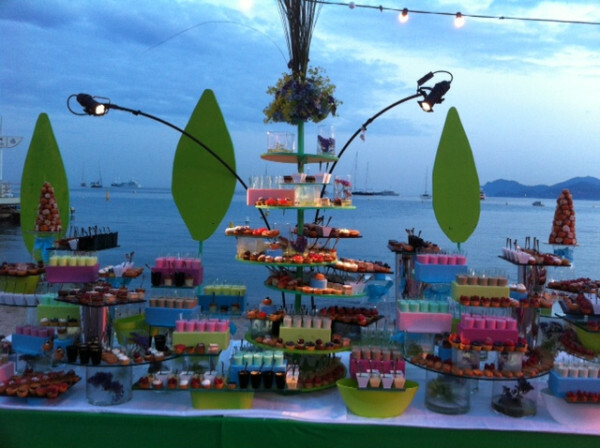 Are you in Cannes for Cannes Lions? Do you wish you were? Could you care less? In any case, we have our daily update for you whether you like it or not. So what happened in Cannes today? Nike's Stefan Olander and R/GA's Bob Greenberg took the stage and explained to delegates that Nike is now an ecosystem, not just a brand that sells products. Nike has expanded to offer ongoing services like Fuelband that focus on continuous personal improvement. - BBH won the Creative Effectiveness Grand Prix for its Axe Fallen Angels work. - Duval Guillame was (deservedly so) crowned Media Agency of the year. - The ubiquitous Arnold bike made its way to the Havas cafe. 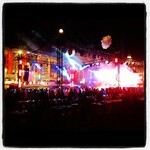 - As always, the food at the Opening Gala was stellar but, again, as always, the lines were miserably long. It's really just best to skip the food line and just drink. - And not to be confused with the Dutch Young Creatives, the Young Lions party, sort of an anti-Gala event, rocked La Croisette Tuesday night as well. 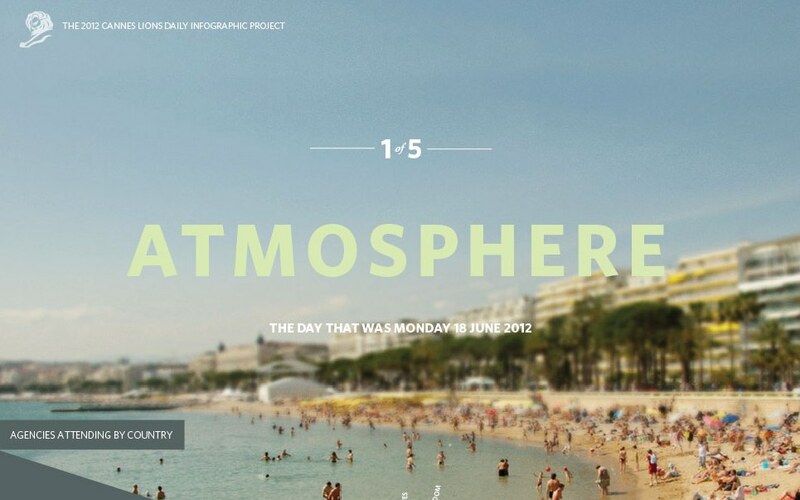 SapientNitro has taken it upon itself to create an infographic to represent each of five days, Monday through Friday, in Cannes capturing all the goings on at Cannes Lions. 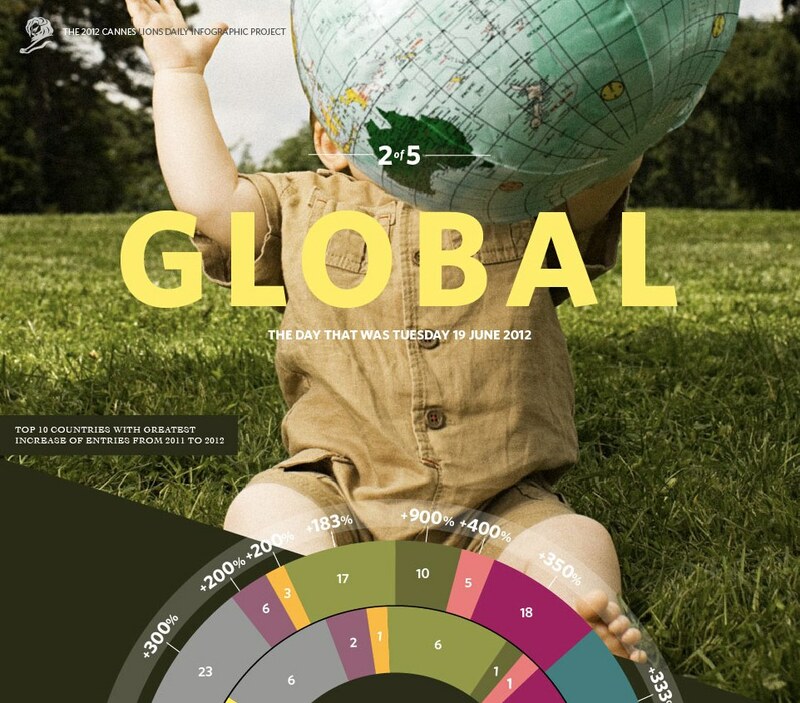 Below is Monday's infographic which takes a lok at the history of Cannes Lions, seminar keywords that popped, a summary of the number of entrants and panels, the weather and other local demographics, influencial Cannes Twitter account (ahem, @adrants is on the list), top Foursquare check ins (Gutter Bar and Carlton Bar, of course), popular Instagram pictures, social buzz topics, popular Pinterest pins and, of course, the awards. Check it out.